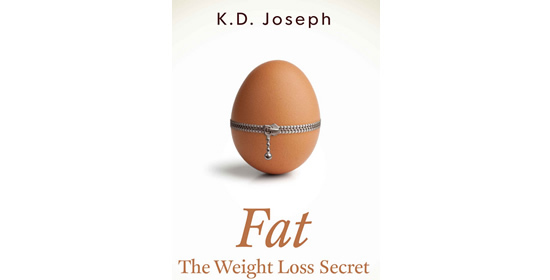 Fat: The Weight Loss Secret aims to debunk common beliefs about fat in relation to dieting. We need to eat large amounts of fat in order to maintain good health. Eating foods high in fat helps you achieve a lean and muscular physique. Fat: The Weight Loss Secret says that the goal of this book is to show you how easy it is to start eating a more healthful diet. It can also help you lose weight, if that is something you seriously want to do. Fundamentally K.D. Joseph advocates a low-carbohydrate, Ketogenic diet, similar to that promoted by followers of the Paleo Lifestyle. He says the key to becoming healthier is to imitate the diet of our ancestors, which he believes consisted of lots of fats and not many carbohydrates. Fat: The Weight Loss Secret asserts that plants and fruits were not readily available until the advent of agriculture and farming. So humans had no choice but to subsist on a diet made primarily of fatty animal meat. He claims that for the best results you need to limit your intake of carbs to 100 grams (or less) per day. Joseph says when you follow this diet you can eat as much food as you want and still lose weight for good. You will never feel hungry or deprived, yet you will continue to release excess pounds week after week. Readers are introduced to 14 different “power foods” that have unusually fast fat-burning effects. Also included is a “Comprehensive Guide of the Most Important Foods to Eat”. If you are sure to focus your diet on these foods you will experience noticeably rapid weight loss results. Organic butter, coconut, nuts, avocado, eggs, grass-fed beef, chicken, turkey, bacon, shrimp, salmon, cheese, dark chocolate, olive oil, green beans, asparagus, spinach, mushrooms, peppers, lettuce, tomato, cauliflower, broccoli, zucchini, eggplant, olives, lemon, berries, grapefruit, coffee. Fat: The Weight Loss Secret (Lose 5 pounds in 10 days guaranteed or I pay you) is available as a Kindle digital version for $2.99. Comes with a money-back guarantee; if you don’t lose 5 pounds in ten days the author will give you $10. Fat: The Weight Loss Secret is very inexpensive. Includes a one-week sample meal plan. Will appeal to dieters who enjoy eating meat, eggs and cheese. Simple to read and easy to understand. Based on regular grocery foods. The author does not back up his statements with scientific research. The majority of health experts agree that a high-fat diet can potentially increase the risk of cardiovascular disease. A low-carbohydrate diet, is not suitable for physically active dieters. Most dieters experience discomfort such as fatigue, headaches and constipation, especially in the first week or two. Fat: The Weight Loss Secret does not acknowledge the importance of fresh fruits and vegetables in a healthy diet. Eliminates a wide variety of foods including bread, rice, potatoes, pasta, whole grains and legumes. Much of the weight loss – especially in the first week – is likely to be water rather than fat. Fat: The Weight Loss Secret advocates a weight loss plan based on limiting carbohydrates while allowing for a high intake of dietary fat. Primarily it is based on the opinions of the author who does not provide any scientific research to support his claims. Essentially it promotes a Paleo diet where carbohydrate intake is limited to no more than 100 grams per day. This approach is often successful for short-term weight loss. However research suggests that this way of eating is generally less effective for long-term weight management.